H.E. 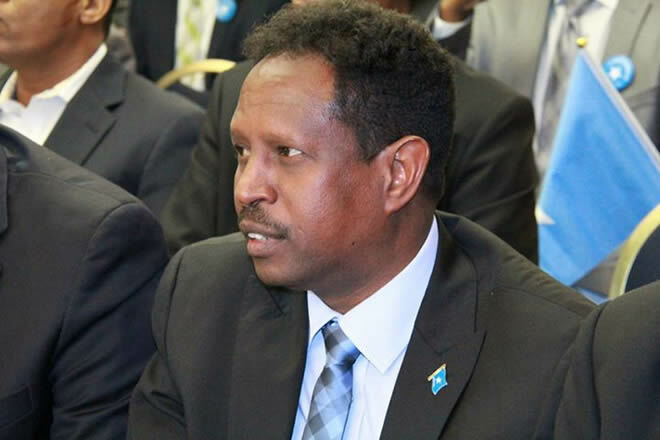 Abdirahman Omar Osman (Eng. Yarisow), the Minister of Information, Culture & Tourism is aware of criticism by some individuals of the new media law that was recently passed by the cabinet. A number of these concerns have been addressed directly, but as the complainant decided to voice their views on online and social media, it is necessary for the Minister to release a public statement. On coming to office in April 2017, Eng. Yarisow immediately met with journalists and editors to promise a review of the media law and asked them to identify which particular clauses they would like amended. Despite the fact that the law was still relatively new having only received Presidential decree in January 2016. Three days of consultation were held in Mogadishu over the period 6-8 May 2017, attended by the Ministers of Information from each region of Somalia and media practitioners. All agreed the clauses that needed changing and the draft of amended clauses was reviewed two weeks later. The clauses that was agreed to amend included the removal of the condition of journalism degree, to reduce the fines, to remove criminality issues in the media law and considered recommendations from the Somalia Media Support Group (SMSG). Since that time the Ministry of Information, Culture & Tourism has held several meetings with media leaders to ask them to provide their comments. After including all the changes, the ministry sent out an e-mail on 22 June 2017 to all interested parties, including; media practitioners’ leaders and Ministers of Information from the Federal Member States. In this e-mail we included the latest draft with highlighted changes. No further comments were received and their agreement with the draft was confirmed by telephone. Finally, on 11 July 2017, the finished document was sent out for comment with a request for comments by 13 July 2017. The Minister even specifically promised in this e-mail that additional comments would be included in the meeting of the Council of Ministers. No comments were received and the Media Law was passed by the Cabinet. It will now go before Parliament for ratification and the media can still lobby through their elected representatives for further changes. Throughout the process the media were consulted and given multiple opportunities to make amendments. However, senior leaders within the media community now have concerns that prevents them from being members of the Media Committee. This clause was added due to obvious conflict of interest of having current editors and managers as members of the Media Committee. This is the true cause of the personal grievances aired through online press releases and on social media under the banner of ‘press freedom’. The Media Committee consists of nine members, six of whom come from civil society groups; three from private media, one human rights activists, one women advocate, one from the Law Society. The rest of the committee are from public media. This construct will ensure that the Media Committee is impartial and independent. The Ministry of Information believes that they deserve great appreciation as the Ministry did a proactive and inclusive approach and by having the media law reviewed and opening it for wider consultations. The Ministry provided an opportunity to Somali media practitioners and their representatives to contribute and support this process. The Ministry of Information considered and included all the amendments or recommendations from the media practitioners in the country as well as to the ministries of information from member states of Somalia. The revised version of the Media law will be aligned to the international standards, provide a legal framework that will contribute to an enabling environment for press freedom, freedom of expression, access to information, plurality and diversity of the Somalia media sector. The Ministry of Information is ready and willing to listen all genuine concerns that still exist with a view to lobby together all of us including media practitioners so that we can as our MPs and in particular to the parliamentary committee on Information, Posts & Telecommunications to consider addressing all concerns well before the parliament approves the media law.